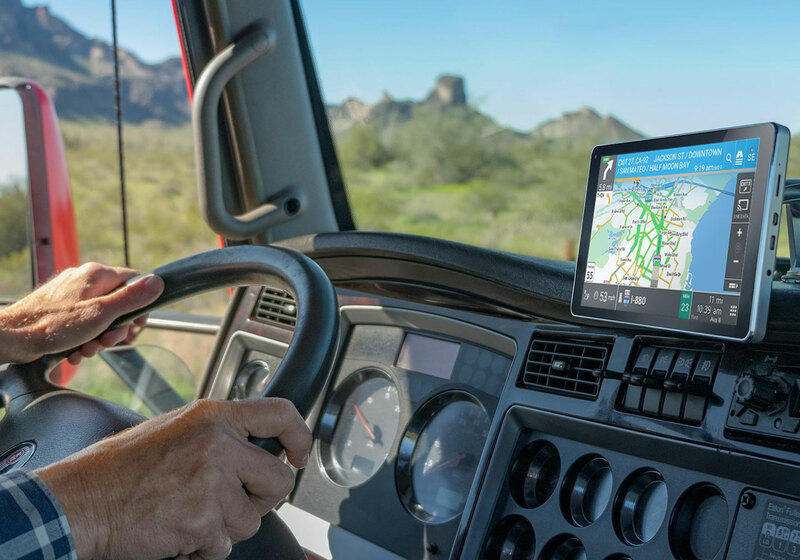 Rand McNally's in-cab truck-specific navigation systems features proprietary truck data derived from more than 80 years in the commercial transportation industry. Our award-winning, in-cab navigation helps fleets reduce fuel costs by minimizing out-of-route miles, avoiding vehicle idling, and more. 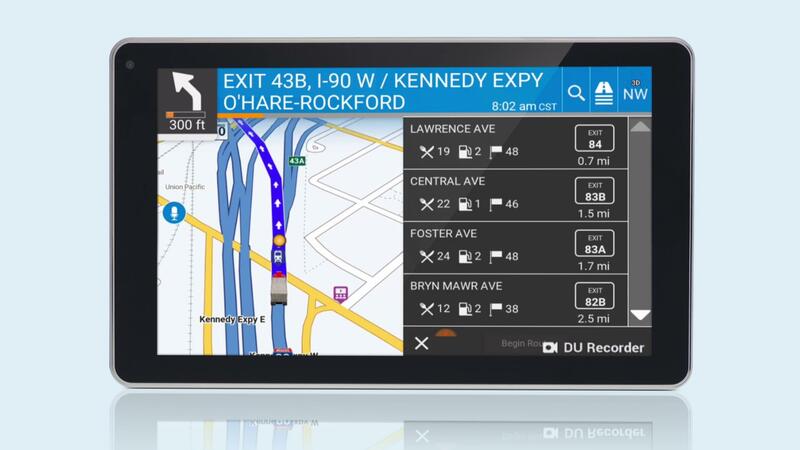 From avoiding traffic and locating the nearest travel center, to managing HOS compliance and DVIRs through the Rand McNally DriverConnect app, Rand McNally truck GPS systems go beyond navigation with driver-requested tools and connected features. 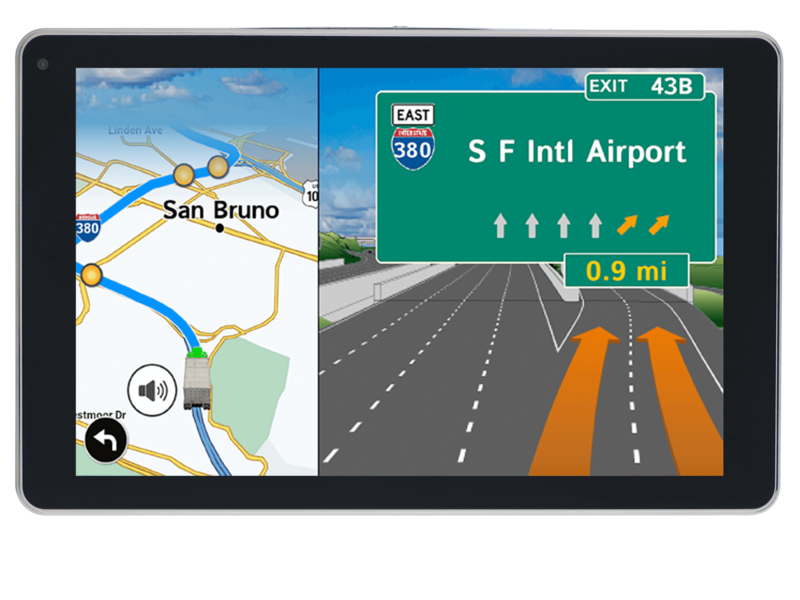 Rand McNally’s on-board navigation systems deliver truck-specific routing, easy-to-read, high-resolution displays, and advanced features that help keep drivers safe and confident on the road. Compare routes, use multi-stop routing, and place breadcrumbs, plus add up to 50 stops per route. Receive updated maps on an annual basis for your device at no additonal cost. Access key metrics important to drivers such as current and yard time. View upcoming junctions in 3-D with a split-screen display with lane guidance for managing complex interchanges.